Fridge - Silver under counter, doesn't open. 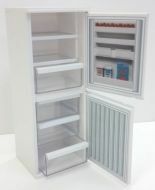 1/12th Scale Collectable Dollshouse Miniature of a Silver undercounter Fridge. Dummy door only, does NOT open. 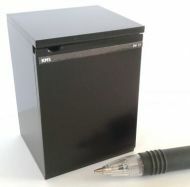 A 1/12th scale miniature fridge, Black in colour. PLEASE NOTE THE DOOR DOES NOT OPEN ON THIS MODEL. 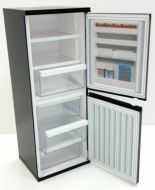 A 1/12th scale miniature trendy fridge freezer, Black in Colour. Please note THIS ITEM DOES NOT OPEN.